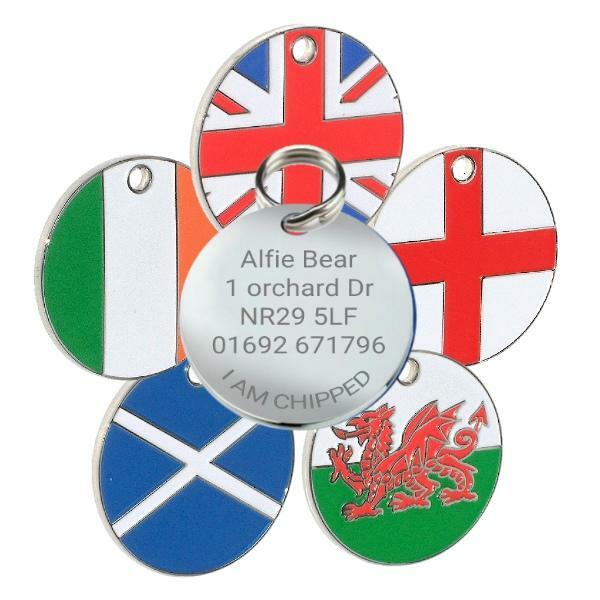 Be Patriotic and get your pet a lovely flag pet id tag. 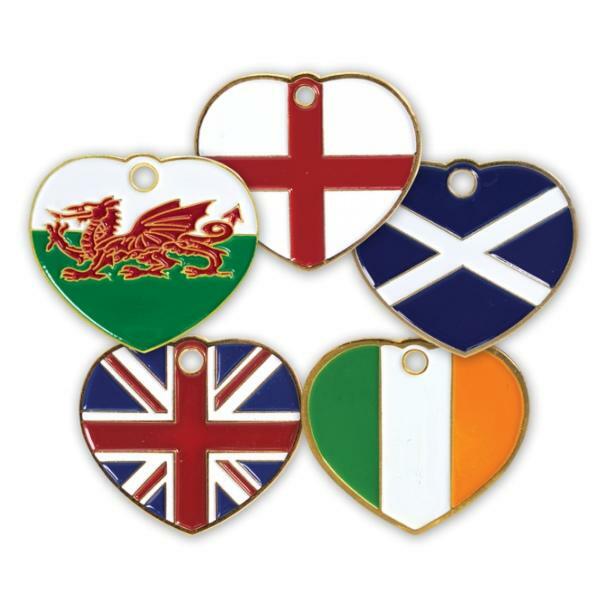 Our tags are sourced from reputable suppliers and are of premium quality. There are lots of these tags all over the internet and some are good and some are just not fit for purpose, ie the plating is inferior and the enamel colour wears away fast. Out tags are of Grade A materials and are plated to 7 microns this allows us to deep engrave our tags and supply our customers with a quality product.